Tribune critic Greg Kot follows the march toward freedom for a family of protest-music royalty—but gets lost along the way. You can hear almost all of African-American history in the music of the Staple Singers: slave-era folk songs and hymns; the Delta blues, considered the "devil's music" by the hymn singers; gospel from the northern churches that formed the backbone of black social life after the Great Migration; and protest songs from the civil rights movement. 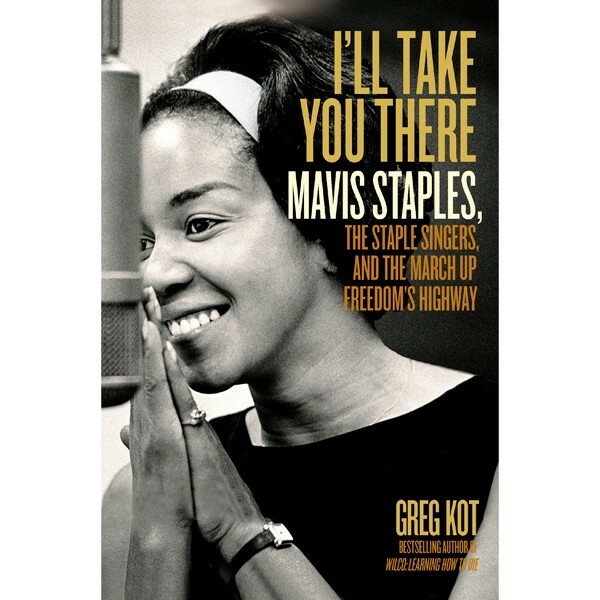 I'll Take You There,Greg Kot's new biography of the Staples (family and singers), is at its best when it shows how they lived that history. Roebuck Staples, forever known as Pops, grew up on a plantation near Drew, Mississippi, in the heart of the Delta. His father was a sharecropper. His grandfather had been a slave. He learned to play guitar by imitating Charley Patton, Howlin' Wolf, and other itinerant bluesmen, who sometimes played in a hardware store on the plantation. In 1936, he and his wife, Oceola, joined the Great Migration to Chicago, where they lived in a series of apartments in Bronzeville. Pops worked on the kill floor of the Union Stock Yards and sang in a gospel group. One day in 1948, disgusted when his fellow singers didn't show up to practice, Pops decided to start a new group with more reliable members: his four kids. Duke Ellington described the Staple Singers' unique sound as "gospel in a blues key." Unlike most gospel groups, which used a piano, their musical accompaniment was Pops's guitar. Their harmonies sounded spooky, not triumphant. And they had Mavis, their youngest member, who was eight years old when the group started and who sang in a contralto so deep and powerful, it seemed incongruous coming from a girl barely five feet tall. The Staple Singers knew everyone, from Martin Luther King Jr. to Mahalia Jackson to Sam Cooke to Bob Dylan (who proposed marriage to Mavis; she turned him down). They slipped easily from gospel to protest songs and songs about black pride and self-respect. "If he can preach it," Pops said of King, "we can sing it." Both the Staples and this book lose their way in the mid-1970s. The story diverges from African-American history and instead becomes a dutiful chronicle of the recording sessions for a series of mediocre albums. Perhaps out of reverence for Mavis Staples, whom he interviewed several times and who seems to be both a great talent and a good person, Kot fails to ask the harder, ruder questions, not just about the Staples' personal lives but about why, for instance, after years of hits and gold records, Mavis had to look for radio voice-over work in the mid-80s. In fairness, it's hard to write a biography of someone who's still alive—and who'll read it. But the reader might be better off stopping around page 220 (the start of the disco era), skipping to the discography on page 289, and listening to the Staples instead. "I had a picture of Pops Staples taped on my guitar to always remind me to practice." 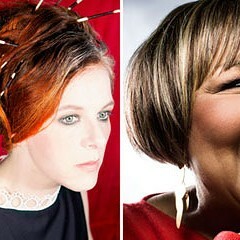 Pops is gone and the Staple Singers with him, but on her new solo album Mavis is still singing the songs he taught her.